I am a city born and bred individual and when I came to the country and started working at NEGS 11 years ago I never thought I could find another school like the one I came from. It was an all girls day school in the Inner West of Sydney with all the bells and whistles you would expect from a Sydney Independent School. It was a great school. But ….. it wasn’t the bells and whistles which made it great. It was the school community. The staff, both academic and support, the Principal and leadership team, the parents, but mainly the girls. This is what I was afraid of. Would I find the same down to earth, caring, hard working and supportive group of girls? Fortunately I did and I am reminded time and time again of this whether it is in the boarding house, on camp, coast trips or in the classroom. Recently, I attended the funeral of a NEGS Old Girl. She was only 22 years of age when she died, but she died doing something she loved. On that sad day there were a number of her peers from her year group who attended the funeral. Although they had all gone their different ways – University, travel, work. 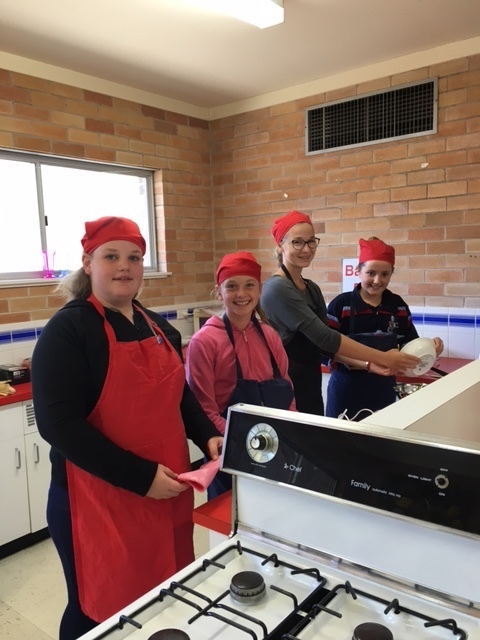 From Albury, Sydney to far North Queensland, in true NEGS spirit and care for one another they were there for each other and their classmate. This is what makes NEGS special and whether you are a boarder or not it is something that I have seen time and again in the NEGS community. As the last two weeks of term get closer and closer I would like to take this opportunity to wish the Year 12 Boarders all the best in the HSC Half Yearly Examinations. I know as I write this article Bridie Tilse and Jessica Towns are sitting their examinations early to embark on and adventure of a lifetime on the USA Equestrian Trip. Enjoy and safe travels. 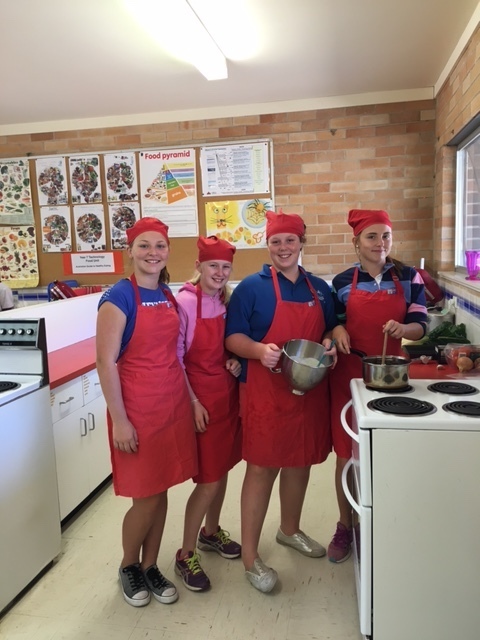 Weekend Activities have included cooking with the Gap students. 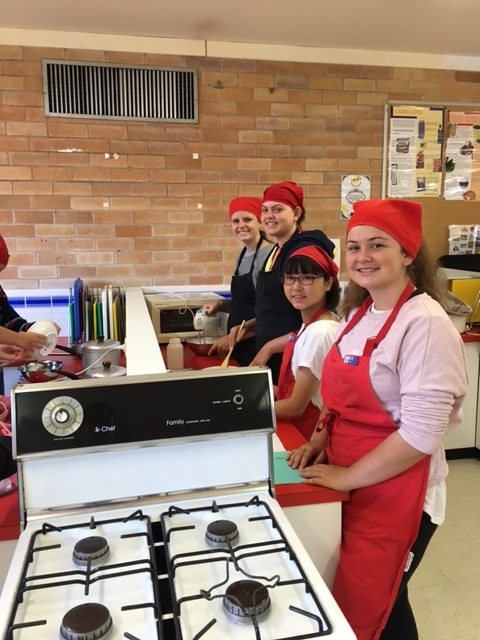 The 16 boarders cooked up some delicious callenwoni (vegetarian of course) and a chocolate mousse to satisfy the sweet tooth ladies in the group (especially the Gappies). Thank you Katherina, Bente and Sophie for your time and talents.